I'm sure we've all been, um, inexplicably aroused at certain inappropriate times, and that causes us to make some bad decisions. Like hitting on third cousins at your great uncle's funeral or something like that. But I'm not sure I've ever known inappropriate, aggressive horniness to cause a plane to land. Until now. A Delta flight from Baltimore-Washington to Salt Lake City — widely considered America's two sexiest metro areas and the corridor between them is usually thought of as the Bermuda Triangle of Arousal — was the setting for the attempted sexytime that went so very, very wrong. 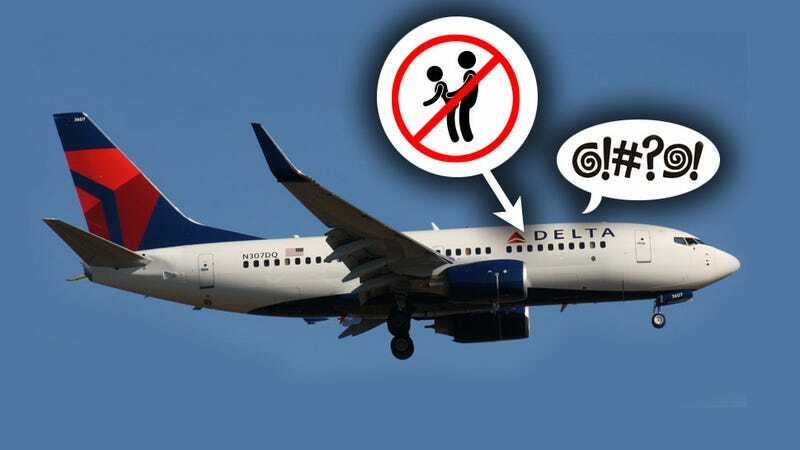 In the end, the pilot decided maybe everyone would enjoy the flight a bit more if the crazed, drunk, aroused, screaming person was dropped off somewhere, so an emergency landing was made in Minneapolis-St.Paul. The woman was taken off the plane and may be facing federal charges. So, if anyone's around the St.Paul area and looking for a good time, boy do I have a tip for you.